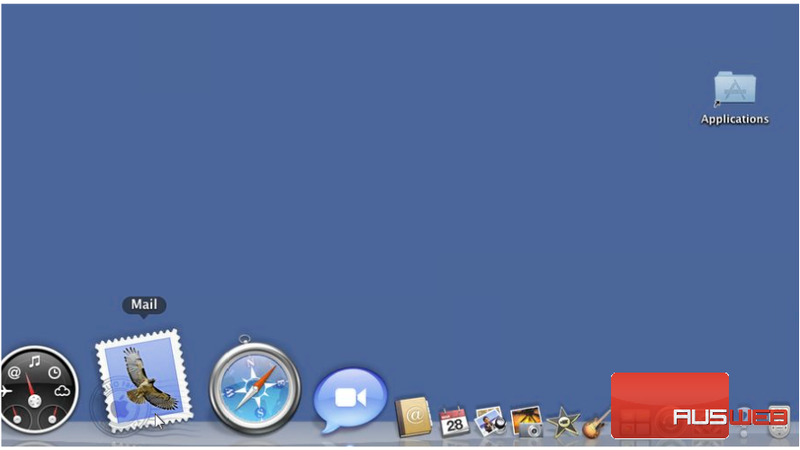 1) One of the ways to open Mail is to hover over the dock until you find the Mail icon… then click the Mail icon to launch the program. 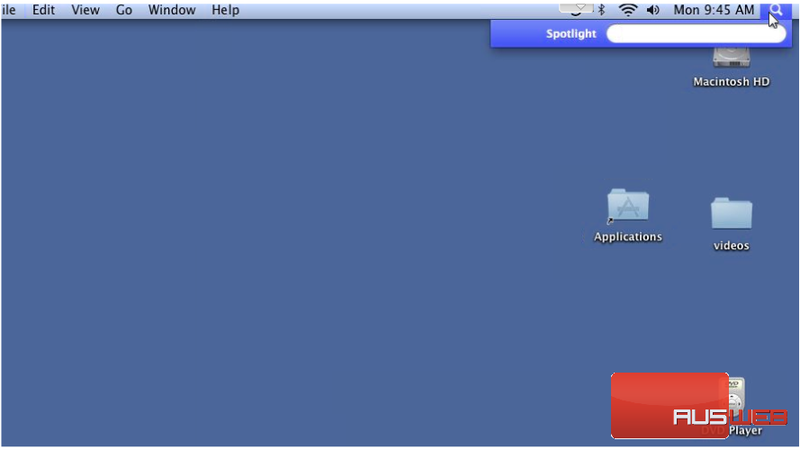 2) If you can’t find Mail in the dock, click the magnifying glass icon at the top right corner of your desktop. Begin typing the word Mail in the box… then click on Mail when it appears. 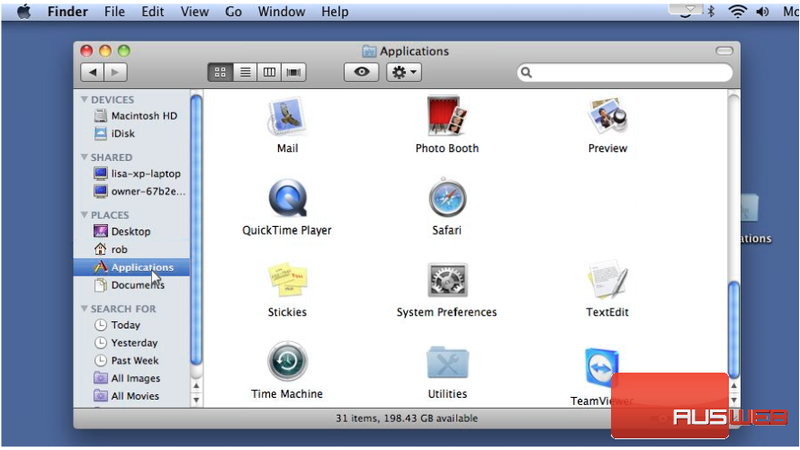 3) The last way to open Apple Mail is to open a new Finder Window. 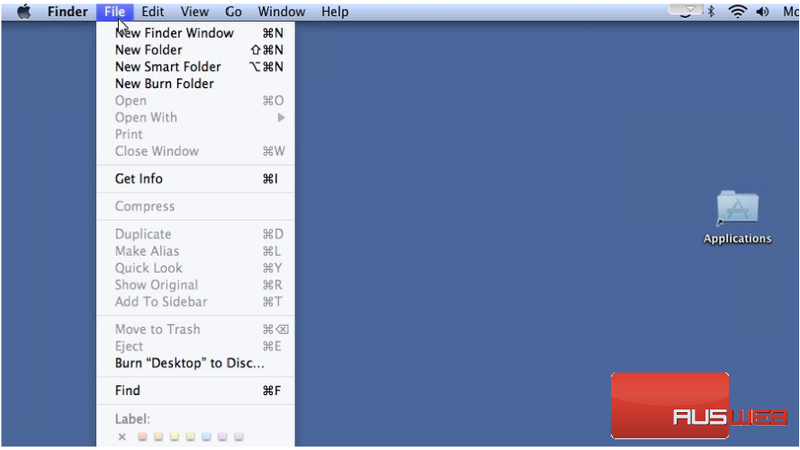 To do this, click File… and then New Finder Window. 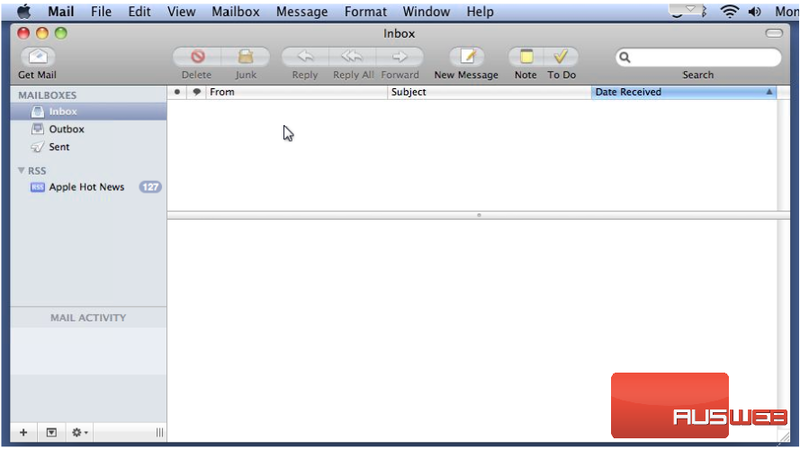 4) Click Applications in the left margin, then double click the Mail icon. 5) Apple Mail will open and you are now ready to begin using the program.